HOW TO BUILD A GOOD FLAT ROOF? Once associated with poor materials and shoddy workmanship, flat roofs are now back in demand and are favoured amongst designers and architects. With extended life-spans, ease of maintenance, and proven resistance to the fluctuation of the British weather, together with high performance and cost effectiveness, a flat roof will offer a real alternative to a pitched roof. When installed and maintained correctly, a flat roof can have a long life expectancy. But how do you build a good flat roof? The roof deck is the base upon which the entire flat roof relies upon. It must be designed to provide sufficient support for all loads to which it will be exposed, and the method of attachment to it must be appropriate. Vapour control layers are normally considered essential under insulation in warm roof construction, more commonly known as a VCL helps to reduce the risk of condensation forming in the flat roof. Insulation is essential on all flat roofs to offices, homes, extensions etc. preventing heat leaving the building through the flat roof. Insulation is rarely used on outbuildings, garages and other buildings which are not heated and will not have any economic benefits. Building Regulations dictate that certain U Values must be achieved for both new and refurbished flat roofs. The overall roof must meet the requirements of the Building Regulations with regards to the “U” value. Endon Roofing will survey the roof and offer options to provide a flat roof build up to meet with current building regulations. A flat roof needs to be able to clear surface water to the gutters. The required falls may be formed by the slope of the joists, firrings installed under a suitable roof deck or a tapered insulation laid to falls. A good membrane is key. 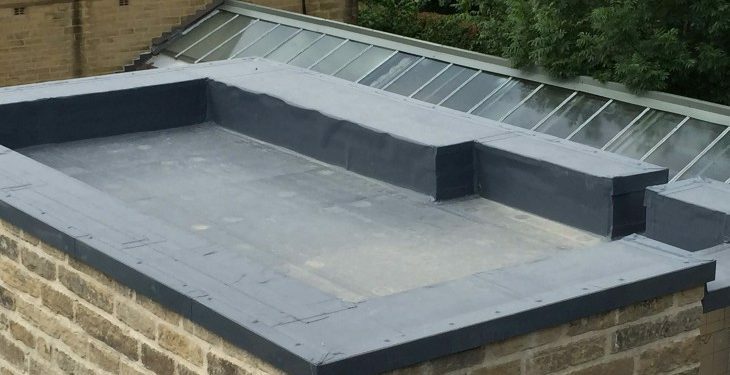 Endon Roofing source our membrane from approved manufactures to provide a high quality membrane waterproofing solution. They also allow the water to run off the falls created in the roof by either the roof deck or a tapered insulation. Endon Roofing recommend a high quality single ply membrane with a life expectancy of at least 30 years. This must always be considered, what is the flat roof to be used for? A balcony requiring protective walkway mats, installation of solar panels with specific weld able solar brackets to the single ply membrane. These factors need to be considered when the flat roof is being constructed. A good quality membrane fitted by a contractor who is trained and approved for that particular system will help ensure a good flat roof. No flat roofing system will be the right choice for every situation. For this reason, you should carefully examine all factors about the building, the current roof (if there is one) and what’s expected of the roof. Endon Roofing only employ fully qualified membrane installers for all our flat roof projects. If you’d like more help and advice on flat roofs, please contact us on 01924 270822 where we will be happy to help. Previous Spring in to Action!